Discover fresh new designs for scarves, shawls, and cowls. 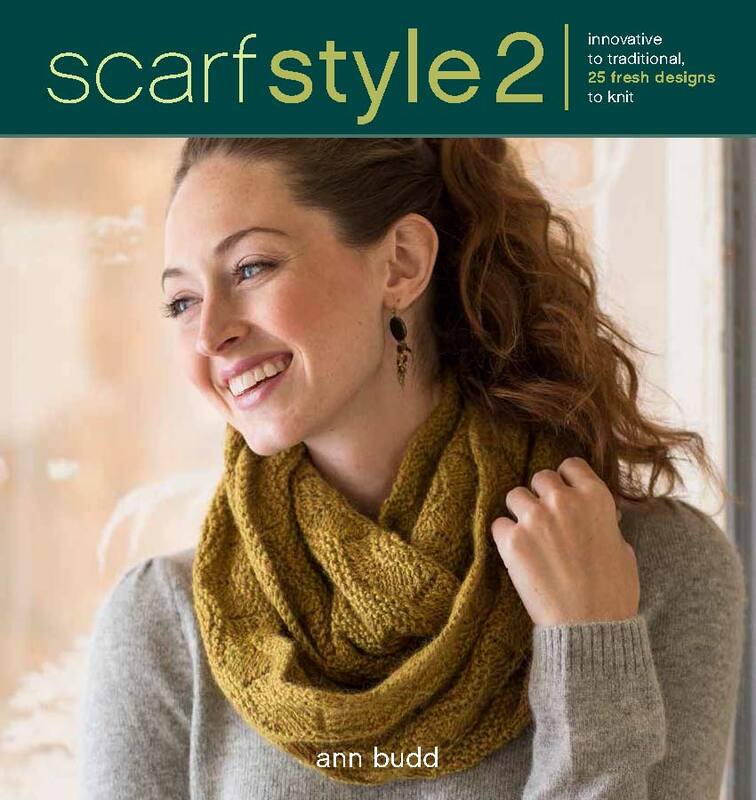 With Scarf Style 2, you’ll follow up to the best-selling Scarf Style and learn from the experts! Scarves are comfort food for knitters, and a great way to learn new techniques without a big investment in time or materials. You’ll be introduced to many basic knitting techniques such as color, lace, cables, and more from 23 leading designers. Whether you’re a beginner or more advanced, Scarf Style 2 offers a wide range of patterns for all ages and skill levels. As scarves remain the most popular go-to project for knitters, you’ll discover great ways to use small quantities of luxury yarn or use up leftover yarns in your stash. In addition to the detailed instructions, the Design Notebook at the back of the book offers advice on designing your own scarf, shawl, or cowl, from choosing a shape and direction of knitting to adding stitch or color patterns, to expert finishing details.